JNEC Table Tennis team won silver and bronze medal at Summer University Games held at Gedu College of Business Studies from 3rd July – 7th 2018. Mr. Kezang Jamtsho (D2C) and Mr. Sunil Sharma (D2M) bagged a silver medal in the Men’s Doubles event while Ms. Sonam Choden (D2C) and Tshering Dema (D2M) bagged a bronze medal in the Women’s Doubles. 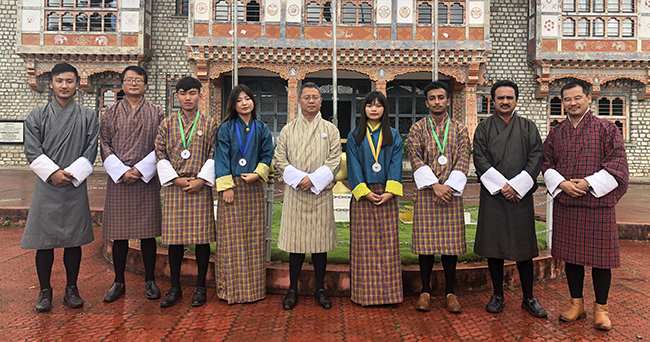 Jigme Namgyel Engineering College would like to congratulate all the medalist.